I'm late with a 70th birthday homage to John Lennon, but that's because I've been shuttling between cities too much. Anytime there's a tribute concert or any memorial event for Lennon, there'll be hordes of people swaying and singing Imagine. I understand why. Imagine is free of inputs from Lennon's band-mates. It is a simple, moving and radical song. But its emotional impact and political message have been dampened by overuse, turning the song into a cliche (though some chap on American Idol a couple of years ago refused to sing the 'no religion' verse, reminding us of its better days). Imagine, moreover, lacks the sardonic wit that enlivened Lennon's songs and interviews. I find Come Together from Abbey Road a good antidote to Imagine, and think of it as the most representative Lennon song (you can hear it here). Take the title, for a start. It seems to seek peace and harmony in a manner similar to Imagine, but also contains, as Lennon once pointed out, 'the other meaning'. The refrain goes, 'Come together, right now, over me'. The first two words are flower-child-y enough, but what's unusual is the imperative mood, as if we were being commanded to inculcate tolerance and liberalism. This feeling is heightened by the next phrase, 'right now'. Not only must we learn to live as one, but we are ordered to do so immediately. And then the mysterious 'over me', which doesn't have a pindownable meaning. The line starts out in one place and ends somewhere else altogether. The song's frequently interpreted as a description of Lennon, or of all four Beatles in succession, but it's pointless seeking that kind of coherence in words deliberately written as gibberish. We have the protagonist described as 'flat top' at the start, but two lines later this is transformed into 'hair down below his knee', as if a marine suddenly turned into a hippie. The protagonist doesn't come across as a winning personality: joo-joo eyeball, toejam football, monkey finger, walrus gumboot, muddy water, spinal cracker, while all largely undecipherable, certainly don't constitute attractive features. The 'feel his disease' bit more or less settles the case. What worth are we to ascribe to such a man's viewpoint? The protagonist wants two things of us: first that we come together; second that we be free. These two desires encapsulate the contradictory nature of the freedom envisioned by sixties' counterculture. To explain what I mean, let's turn to the two sources Lennon used in creating the song. 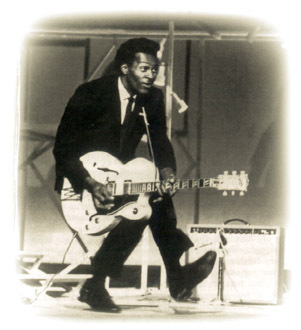 The first line is pinched from Chuck Berry's You Can't Catch Me, a song that also inspired Lennon's tune. 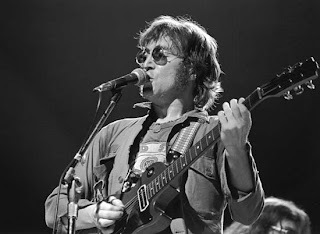 Though Lennon, on McCartney's advice, slowed down the rhythm of Come Together, he was sued for plagiarism and settled out of court. I bought a brand-new air-mobile. It' custom-made, 'twas a Flight De Ville. With a pow'ful motor and some hideaway wings. Push in on the button and you will get a scene. Baby, you can't catch me. You know I'm gone, like a cool breeze. I was rollin' slow because of drizzlin' showers. Then come wavin' goodbye a little' old souped-up jitney. I put my foot in my tank and I began to roll. Moanin' siren, 'twas a state patrol. Bye-bye New Jersey, I' become airborne. For Chuck Berry, freedom is simple. It means fast cars, pretty girls, money, and rock and roll. Authority might try getting in the way, but Berry's quicker, and has a vast continent in which to ride and hide. The protagonist of Come Together is on a different trip. He 'shoots Coca Cola' and is on a roller-coaster. The suggestion is of physical stasis accompanied by neural stimulation. The rhythm, described by McCartney as 'swampy', creates the appropriate drugged mood, so different from the snappy pace of the Chuck Berry number. The title of Come Together was derived from Timothy Leary's quixotic campaign for California governor against Ronald Reagan. Leary was an advocate of drug use and legalising marijuana. He joined John and Yoko at their Montreal bed-in, and asked Lennon to write a song built around his campaign slogan, 'Come together, join the party'. Lennon didn't comply, but composed the tune we know around the time Leary was jailed for drug possession. Chuck Berry, meanwhile, had finished serving a sentence for pursuing his own brand of freedom: he was jailed for violating the Mann Act, transporting an underage female across state lines. The girl in question was somewhat younger than Sweet Little Sixteen, and Berry's air-mobile obviously not quick enough to evade the flat-tops. While Berry's view of the world has always been entirely self-centred and pleasure-driven, Leary's journey was different. He began his experiments with drugs after discovering mushrooms used as hallucinogens in ritual ceremonies among natives of South America. Mind-altering drugs, in this tradition, were supposed to be simultaneously a reaching within the self and a reaching out to others, simultaneously an individualistic and communitarian act. That's the ideal enunciated in Lennon's song: the twin injunctions of 'gotta be free' and 'come together'. But the imagery he invents, half nonsensical though it is, undercuts the possibility of reaching out while also being self-absorbed, and thus serves as a critique of himself as well as of sixties' counterculture as a whole. After this analysis, which will doubtless be received as over-reading by many, it's time for some light relief. In 1972, Lennon and Berry appeared live on the Mike Douglas show, the only time the two greats met. Introducing his guest, Lennon made his famous comment that, "If you tried to give rock and roll another name, you might call it Chuck Berry. Their jam session was a bit of a train wreck, obviously under-rehearsed, and not helped by Yoko Ono on Berry's left punctuating proceedings with the occasional primal scream. You can see Lennon's introduction here, their attempt at Johnny B. Goode here, a truly catastrophic Memphis, Tennessee here. Don't miss Berry's startled response to Yoko's scream at 3.15. Could NEVER figure out Come Together but always LOVED it. Exactly; it's a song in which Lennon's nonsense-writing really worked. It makes us feel we understand though we don't because the structure is so coherent and the images always on the verge of comprehensibility. Its opposite is I Am the Walrus, which goes from pretentious to fanciful to gross.